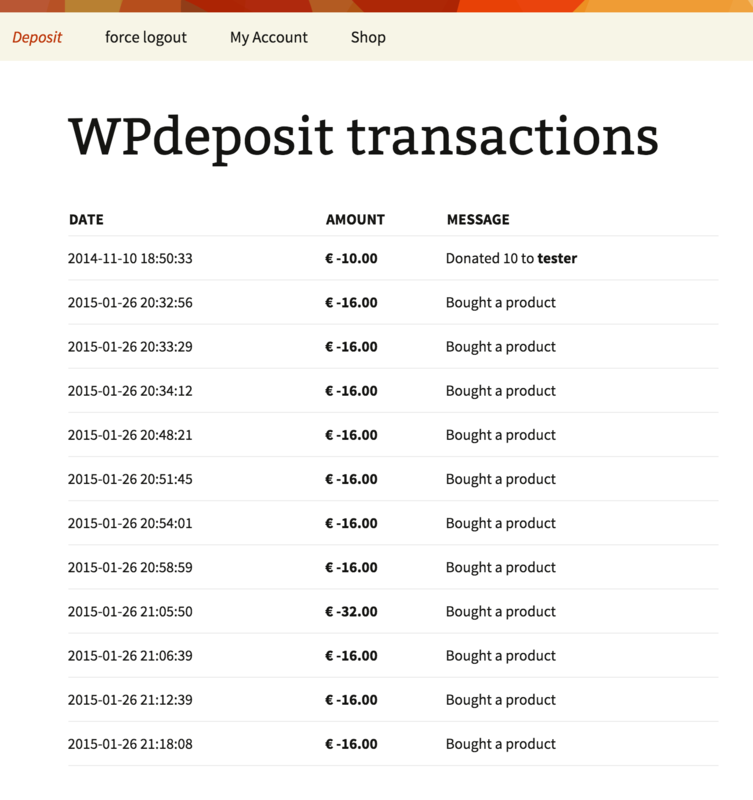 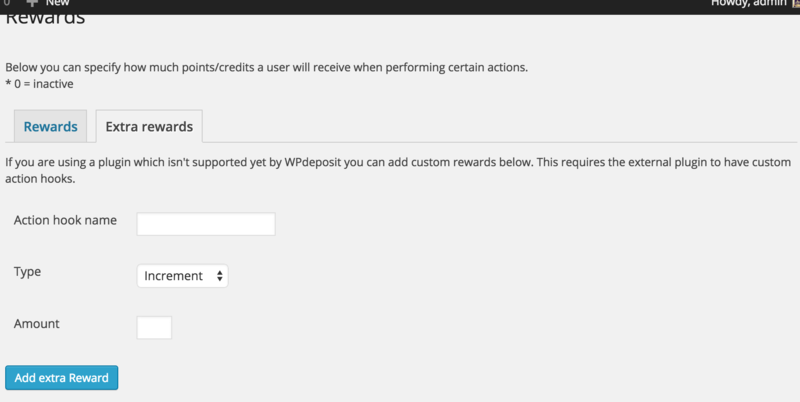 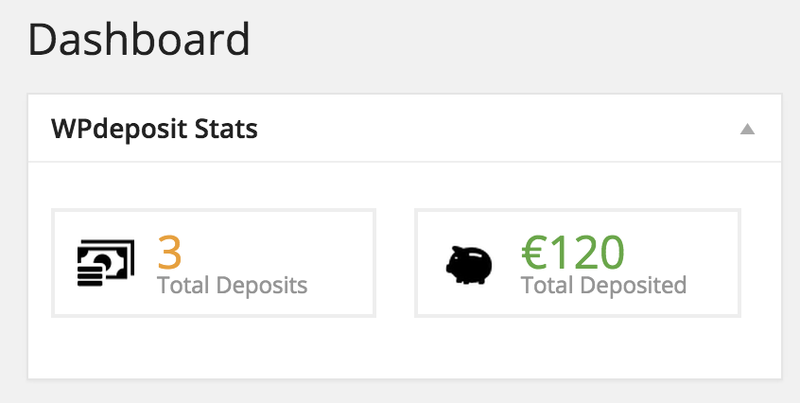 While the WPdeposit plugin mainly focus on the crediting/debiting of the user account through multiple payment gateways and allows you to control the deposits of your user, it is the add-ons (advertisement, subscription, shop, ... add-on, see our portfolio page) that will allow your users to spend out the money they deposited on their account. 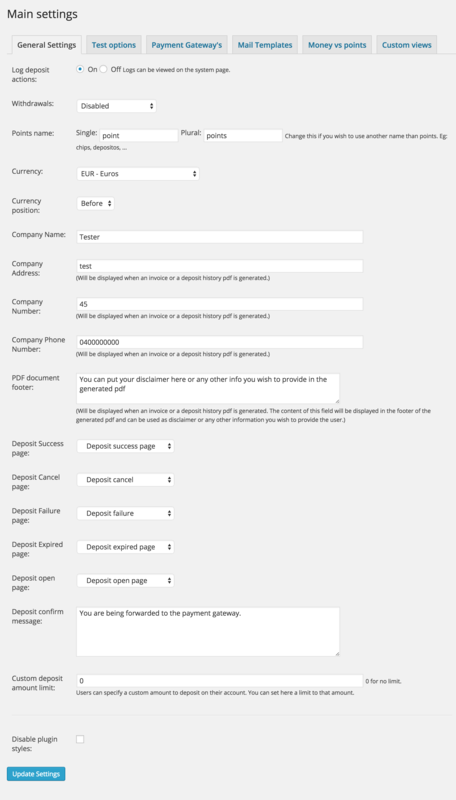 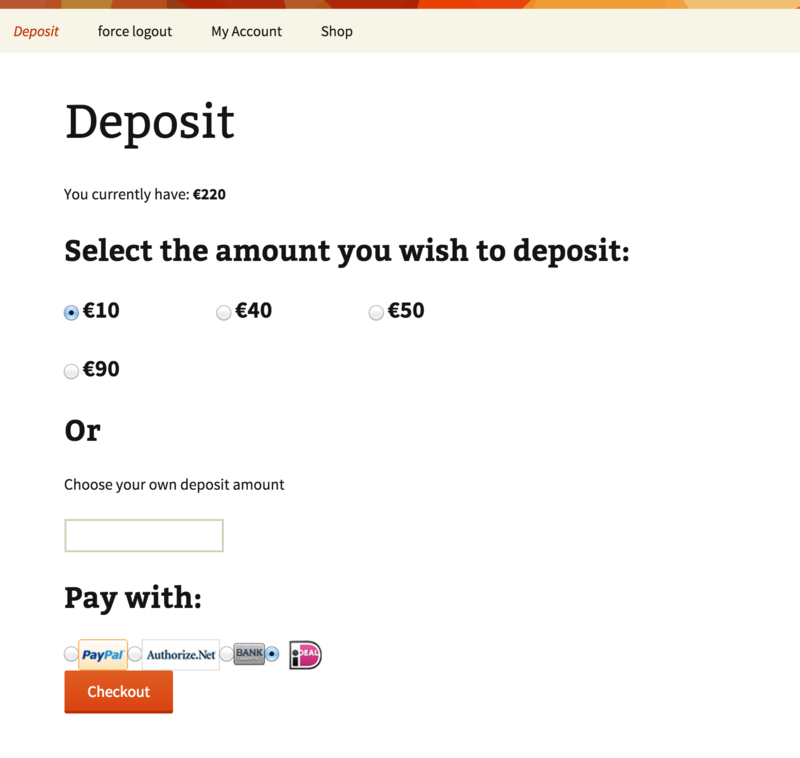 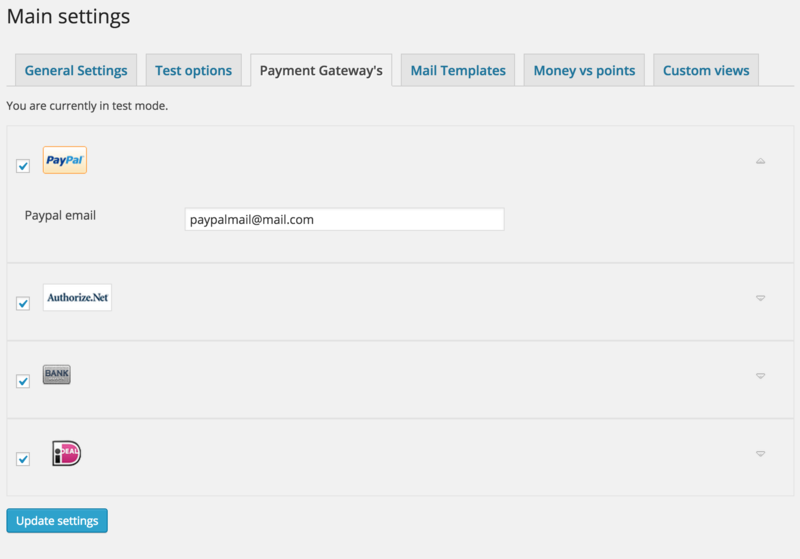 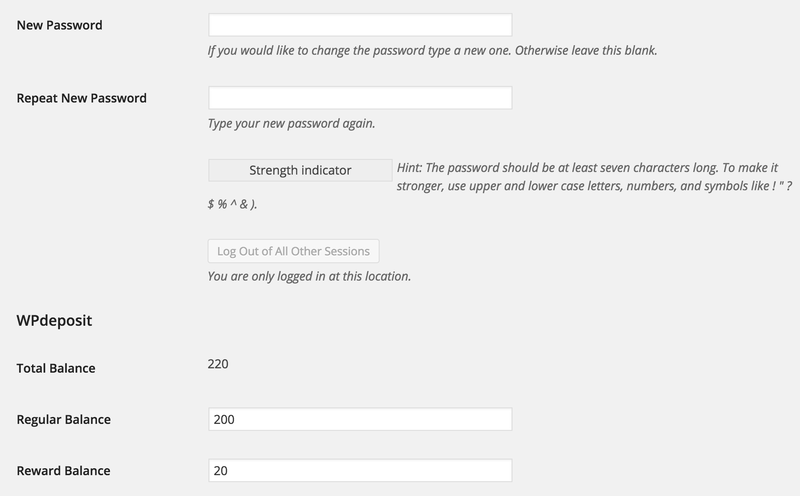 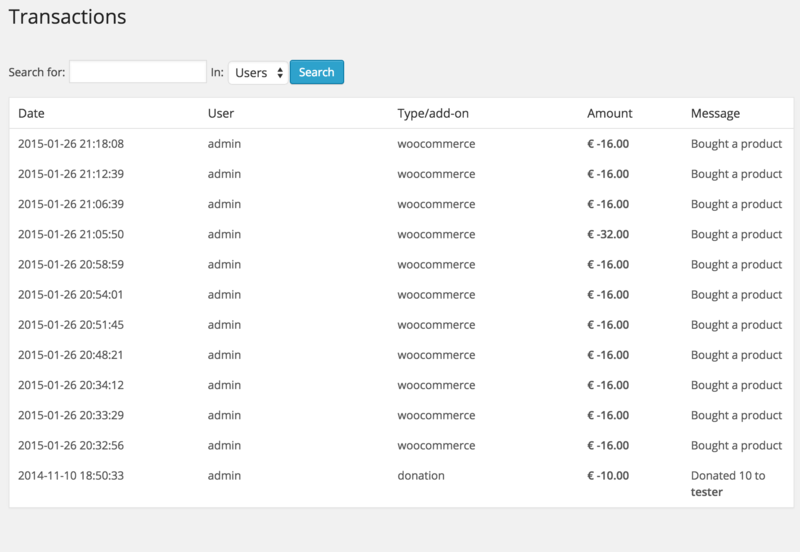 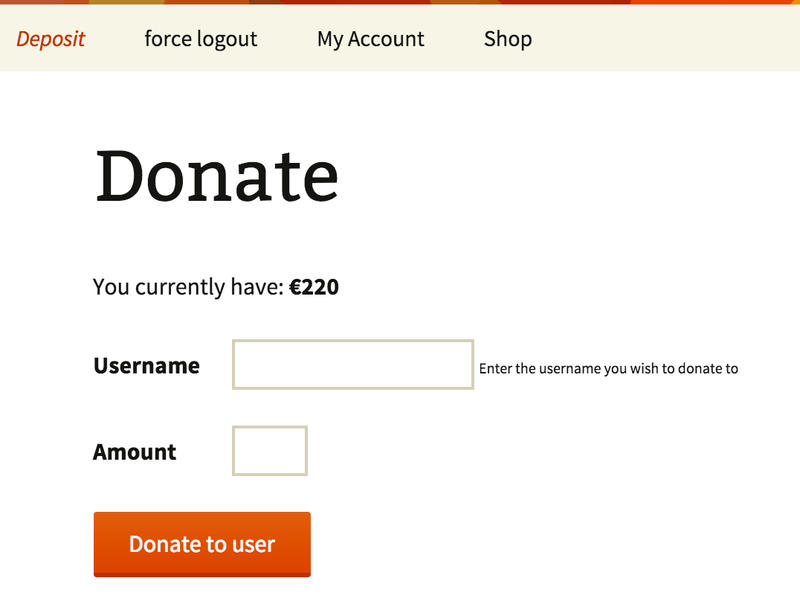 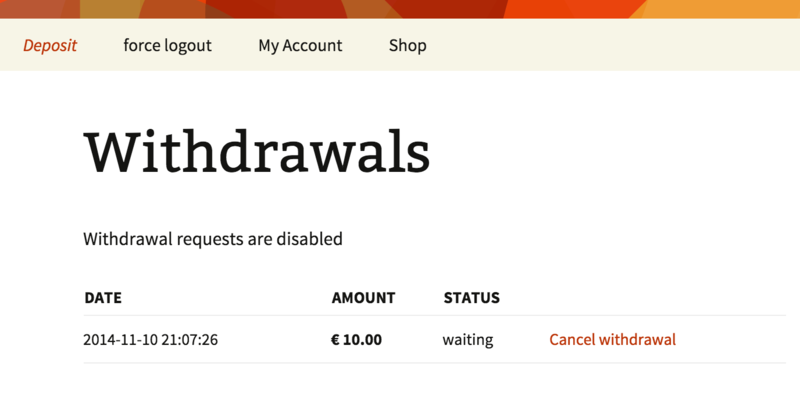 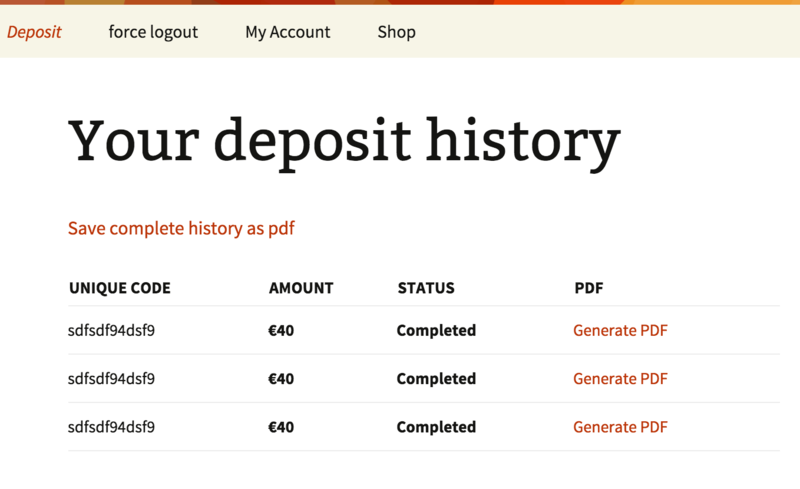 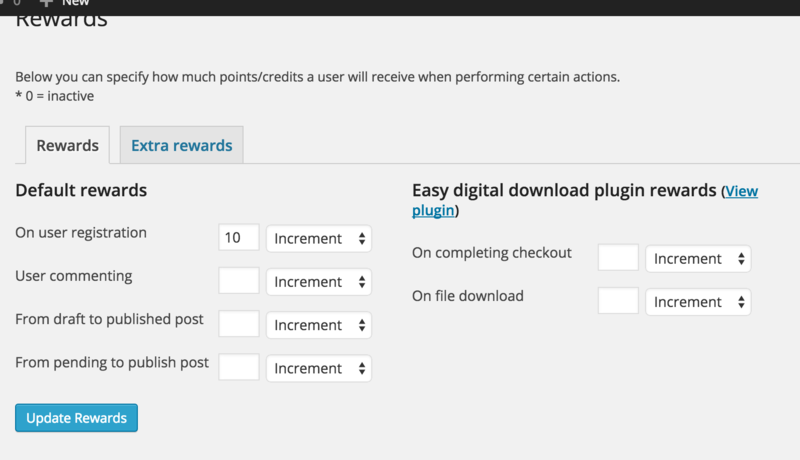 A complete administration panel to setup the deposit plugin. 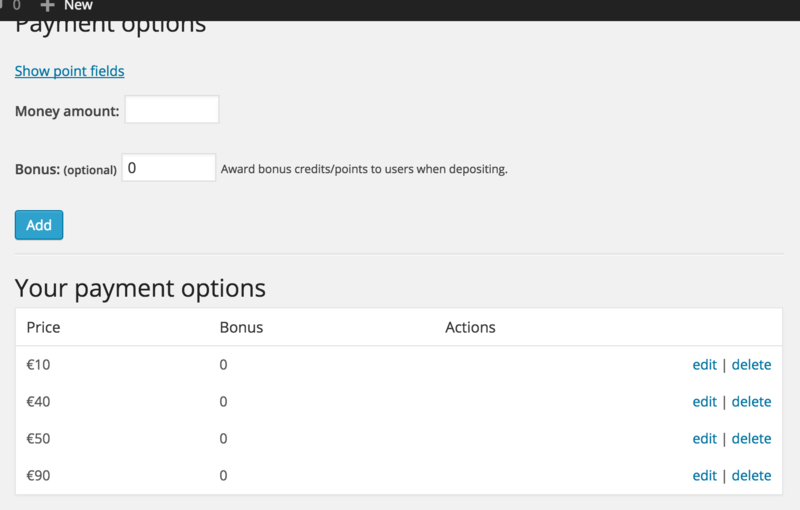 A live demo is available at http://demo.uwebic.com/wpdeposit/ (login with username: demo and password: demo at http://demo.uwebic.com/wpdeposit/wp-login.php), make sure you have a test account for each of the payment gateways to test out the plugin before using real life money.